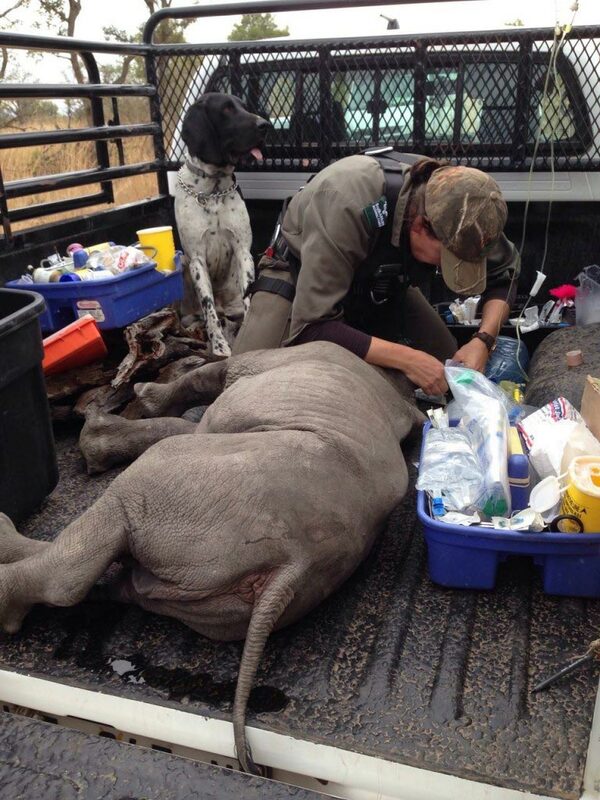 How one orphaned baby rhino came to be saved… Photos via facebook. An orphaned baby rhino has been rescued after poachers shot dead the animal’s mother at Kruger National Park, South Africa. 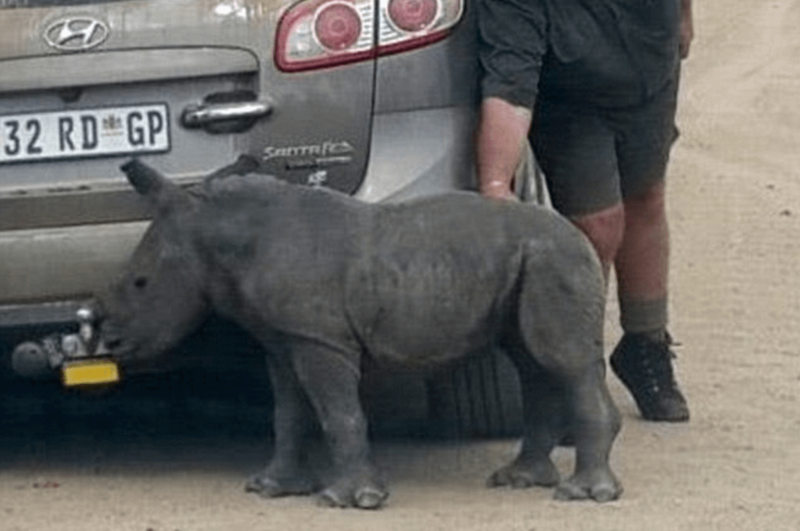 Donnie the baby rhino would be rescued after the animal was observed cuddling up to a passing grey jeep automobile, in a desperate attempt to supplant a new carer after the beast’s mother was shot dead by hunters. 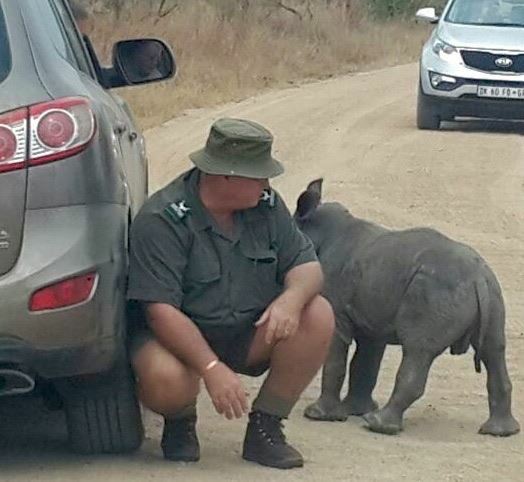 According to games keepers, it is believed Donnie, christened after Kruger’s regional ranger, Don English, who came to the distressed animal’s avail, had mistaken the vehicle for a carer. The gesture comes in lieu of the biological need of young animals who have lost their mother to recruit replacements in order to survive, leading them to ‘imprint’ on other animals, humans or even objects. 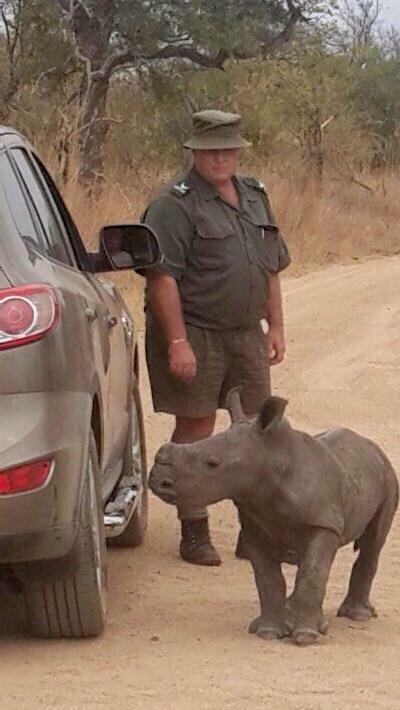 Upon being alerted to the distressed animal by a tourist, ranger Don English and a vet tranquilized the baby rhino in a bid to relocate the animal to a wild animal reserve at nearby Mpumalanga province. 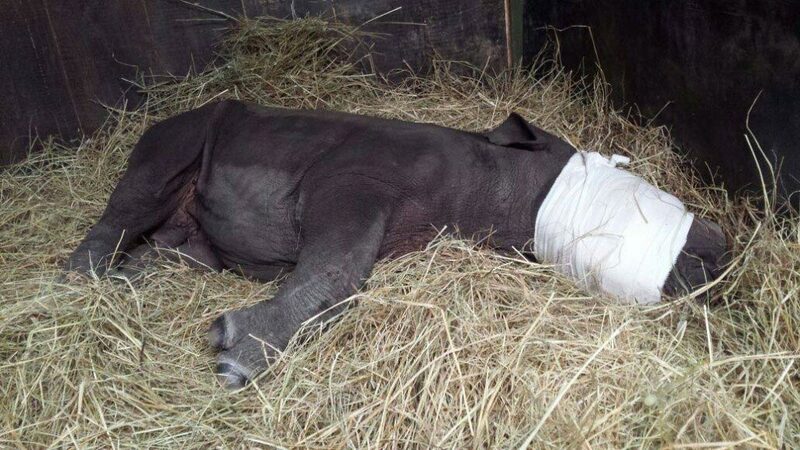 Yet things would get hairy during the airlifting of the baby rhino who went into cardiac arrest while airborne, forcing the plane to make an emergency landing according to a report via News 24. Care for Wild Africa, which cares for animals at the Mpumalanga reserve, confirmed Donnie was thriving in his new home. 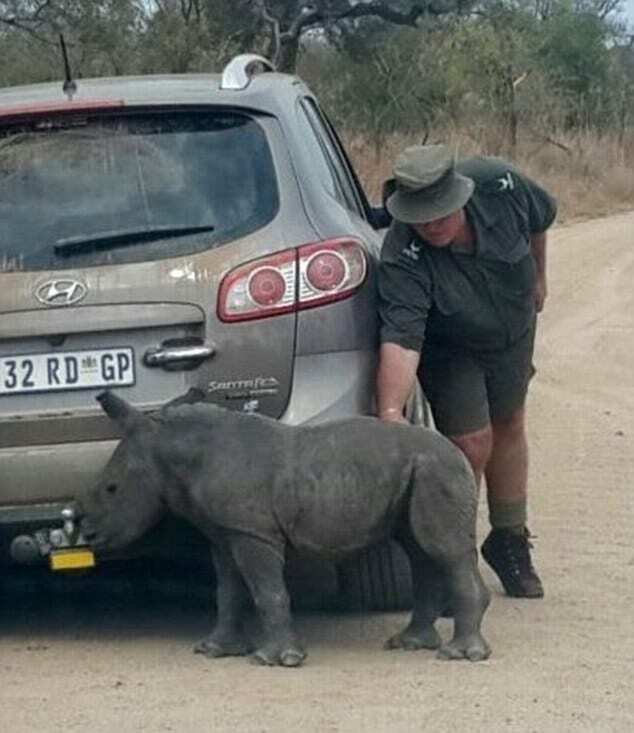 Carers say the orphaned baby rhino will be slowly weaned off milk and released back into the wild once he is strong enough. 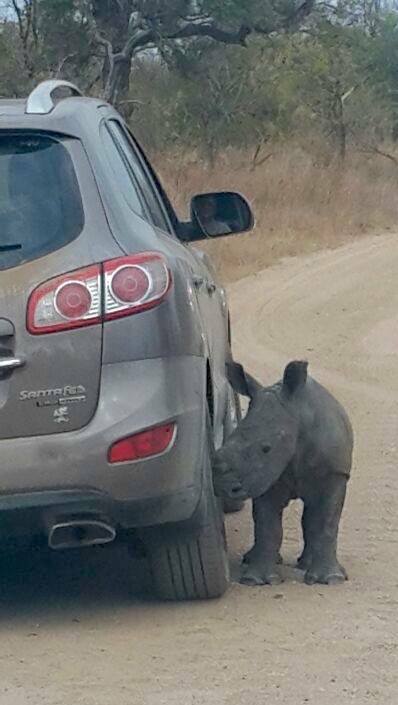 Images of the distressed baby rhino have since gone viral with many commentators demanding the end of wild game hunting.